In the not so distant future, fresh produce may freely roam city streets in fancy autonomous vans. 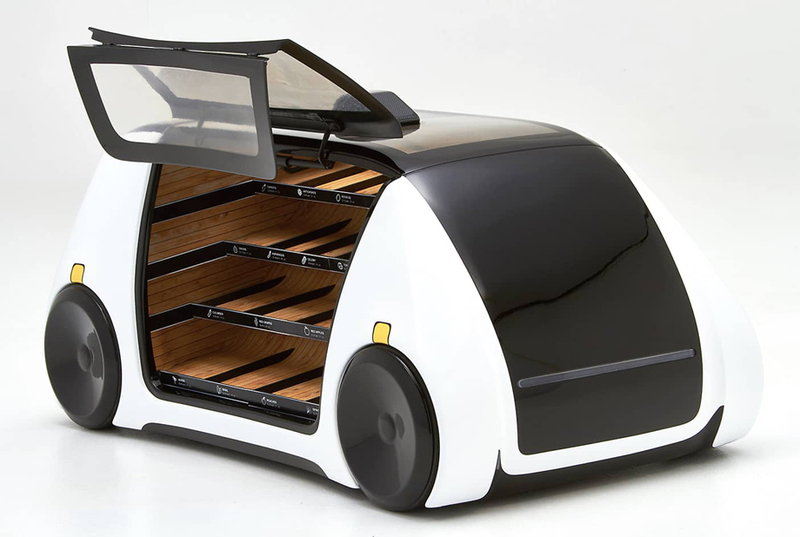 Robomart is a concept to take the urban produce cart into the 21st century. The idea behind the service is akin to Uber meets Fresh Direct. Robomart has developed plans for an autonomous van stocked with vegetables and fruit that could drive itself to customers. Robomart cites a study from shopper behavior specialists Kantar Worldpanel that found that even though 60% of all groceries sold are fresh produce, less than 5% are bought online. They found customers want to select their own produce and aren’t as trusting of delivery services to pick it for them. Robomart is way to offer the convenience of delivery without taking away people’s ability to select the produce they want. A Robomart van can be hailed through an app. Once it arrives, the doors open and a customer can shop the selection inside. The van tracks what is taken, charges the customer’s account and sends a receipt. Robomart has already completed a prototype and is in the process of building a test fleet to use in a commercial pilot program in the San Francisco Bay Area.